Welcome to the Ely Enterprise Blog! This week we will go into some basic wire tier maintenance and upkeep for your two ram baler. The two ram baler’s tier system is a bit different than the one on an auto-tie horizontal baler. The picture you see above gives you a good representation of a two ram tier. You can see the track has some debris, but overall its in good shape. Its a good idea to remember to have extra track guides on your parts shelf just in case a forklift or bale ever destroys the track! Accent, along with L&P, have developed a part called the core (sits behind the picture with the hand warnings). Over 80% of your tier’s wear parts sit in the core. We recommend an additional core when purchasing your two ram-saves on down time if the wire tier ever has problems! And don’t forget to get a cover for your spool of wire! 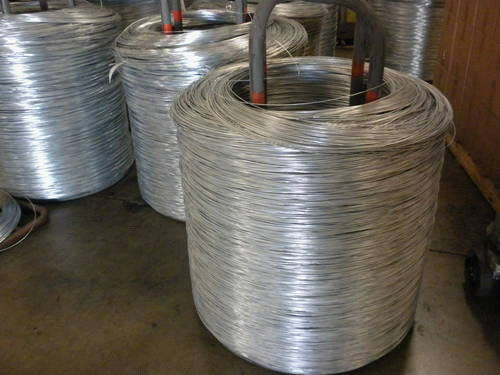 Too many times our service techs and salesmen see these spools of wire uncovered. Keeping debris out of the wire spool keeps debris out of the track and cutter.